A complimentary home water test from RainSoft can disclose everything you need to know about what’s in the water at your home in Chicago, Illinois. When you stop to think about it, water is one of the most prevalent aspects of your daily life. From taking a shower to cooking dinner to washing your clothes, water plays a fundamental role in both a home and homeowner’s well-being and efficiency. If you have been experiencing any of these problems, consider scheduling a complimentary home water test from RainSoft. We make the process simple, easy, and beneficial. One of our expert representatives will meet with you at your home at a time that is most convenient for you, and will then perform the water test right in your kitchen and thoroughly evaluate and explain the results. 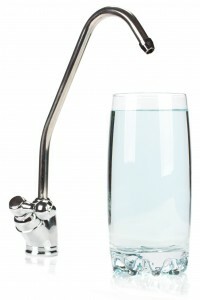 If any additives or contaminants are found, our representative will walk you through a step-by-step process to customize the perfect solution – such as the installation of a premium RainSoft water conditioner, whole-house water filter, or drinking water system by one of our elite technicians – for your home’s unique needs. To schedule a complimentary home water test for your home in Chicago, IL, or another neighboring city, contact RainSoft today.